Dr. Michel C. Samson is an accomplished Board Certified Plastic Surgeon, with over 18 years’ experience in Plastic Surgery practice in Port Orange, Florida. After completing Plastic Surgery residency, Dr. Samson was recruited to the Cleveland Clinic, where he served for over a decade as the Program Director of the Plastic Surgery Residency Program. Dr. Samson’s Areas of Expertise include Cosmetic and Plastic Surgery of the Face and Body. Dr. Samson sees patients from Port Orange, Daytona Beach, Ormond Beach, Palm Coast, New Smyrna Beach, Central and South Florida. If you are considering Plastic Surgery with Dr. Samson but live outside of Daytona Beach, Port Orange, Ormond Beach, Palm Coast, New Smyrna, you can still have Plastic Surgery through Dr. Samson’s Plastic Surgery Fly In Program. Dr. Samson's office is located within the Surgery Center of Volusia, a State of the Art Surgical Center in Port Orange. You will come to one convenient location for all your visits with Dr. Samson, from your initial consult, preoperative appointments, surgery, and necessary postoperative visits. View Dr. Samson's Before & After Patient Photo & Video Gallery to see superior cosmetic surgery results for yourself. 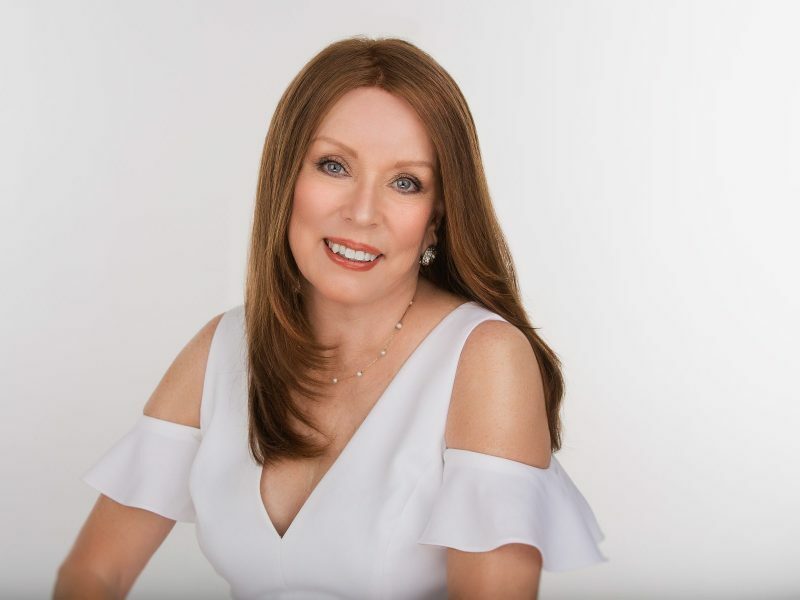 From dermal filler before and after pictures to breast reconstruction to facelift surgery, Dr. Samson's surgical and non surgical results are impeccable. Certified by the American Board of Plastic Surgery, Dr. Samson has been practicing Plastic Surgery for 18+ years. His exemplary career includes 13 years at the world renowned Cleveland Clinic as Residency Director before beginning private practice in Port Orange. Through Dr. Samson's Luxury Fly In Program, patients come from all over the world including South America, the Caribbean, Canada and Europe to have surgery with Dr. Samson. Dr. Samson routinely sees Plastic Surgery patients from New Smyrna Beach, Ormond Beach, Daytona Beach, Palm Coast and Port Orange, Central and South Florida, making him the premier Plastic Surgery center of the Daytona Beach area. Read Dr. Samson's Google and Facebook reviews to see for yourself how Dr. Samson has changed his patients lives for the better! Visit our Patient Blog to and hear from Plastic Surgery patients from Daytona Beach, Port Orange, Ormond Beach area who are thrilled with their Plastic Surgery results. Join Dr. Samson's VIP Program to receive free spa treatments during your birthday month, discounts on products and services, and much more! Enjoy discounts on Dr. Samson's Medical grade skincare products, available in our Port Orange office. What is the difference between Dr. Samson and other Plastic Surgeons? Before beginning Plastic Surgery private practice in 2012 in Port Orange, Florida, Dr. Samson spent 13 years at the world renowned Cleveland Clinic, pioneering innovations in breast surgery that won him national acclaim as one of the nations top Breast Reconstruction surgeons. As Residency Director of the highly competitive Plastic Surgery program at Cleveland Clinic, Dr. Samson was responsible for training and educating some of the nations top up and coming Plastic Surgeon’s. Because of his innovations in Plastic Surgery, Dr. Samson has traveled all over the world as a guest lecturer, presenting at a variety of facial and cosmetic conferences, earning a well respected reputation amongst other plastic surgeons in the US, Canada and Europe. Dr. Samson has pioneered new techniques for injectable placement of Botox and Juvederm, making him a highly skilled dermal filler specialist in Port Orange, Ormond Beach, Daytona Beach, New Smyrna Beach, and Palm Coast. Dr. Samson’s approach to Plastic Surgery is conservative, natural looking and safe. Dr. Samson appreciates that his Daytona Beach area Plastic Surgery patients are discerning and informed, wanting beautiful, subtle results that help them achieve personal and professional goals. Samson Aesthetics is highly rated on Google, Facebook, Real Self, and more, and you will see why Dr. Samson’s patient’s in Port Orange, Daytona Beach, Ormond Beach, New Smyrna Beach, and Palm Coast are overwhelmingly pleased with their results! Dr. Samson is a great listener; dedicated to giving his patients superior outcomes. No Matter your Aesthetic goals, Dr. Samson will artfully guide you to the best procedure to help you achieve your best self. Where will I have my Appointments & Surgery? Dr. Samson’s office is located within the Surgery Center of Volusia, a State of the Art Surgical Center in Port Orange. You will come to one convenient location for all of your visits with Dr. Samson, from your initial consultation, preoperative visit, surgery, and for all post operative appointments. For more complex larger surgeries, Dr. Samson may do your Plastic surgery at Florida Hospital in Ormond Beach, but most cosmetic surgeries of the face and body can be performed at Dr. Samson’s surgery center in Port Orange. Plastic Surgery patients from Port Orange, Ormond Beach, New Smyrna Beach, Daytona Beach, and Palm Coast routinely undergo Liposuction, Tummy Tuck, Mommy Makeover, Breast Augmentation, Breast Implant Exchange, Facelift, Eyelid Surgery, Brow Lift, Buttock Enhancement Surgey at the Surgery Center of Volusia. What is included in your Vip Concierge program? Daytona Beach area Plastic Surgery patients will enjoy joining Dr. Samson’s VIP Concierge Program, yielding superb benefits. Complimentary Spa Services during your Birthday Month. Complimentary Full Size Skincare Package with any Facial Surgery. Complimentary Body Products with any Body Surgery. Discounts on Dr. Samson’s medical grade skincare line. If you are a patient in Port Orange, Ormond Beach, New Smyrna Beach, Daytona Beach or Palm Coast and considering Plastic Surgery, you no doubt have a million questions swirling around in your mind. I know I did leading up to my “Mommy Makeover” surgery with Dr. Samson, in October, 2017. Here’s an overview of the days surrounding my surgery. Surgery day is here! You may be a bundle of nerves, but not to worry, you’re in great hands! You check in at the Surgery Center of Volusia, where Dr. Samson’s office is located and fill out some brief paperwork, 1-2 pages. The friendly staff will take you back to the pre-op area where you will give a urine sample then you’ll change into your surgical gown. The staff are all very nice and understanding that you are going to be nervous, and they will go above and beyond to ease your jitters. Dr. Samson will come in shortly after to do his markings, go over the surgery plan one final time, and answer any last questions you may have. To do his markings, Dr. Samson uses a sharpie pen and will draw arrows and lines this way and that way. Don’t worry, they wash off easily after surgery is over. The markings are complete and the Anesthesiologist will come in and introduce himself to you. My anesthesiologist was Dr. De La Torre; he was extremely kind and very professional. The staff is ready to wheel you back to the Operating Room. Say hello to Anesthesia in 3,2,1! Everyone’s post op experience will be different! My first memory was waking up with a really painful left hip. (I got liposuction from my stomach to my knees) I remember asking for pain meds for my left hip area which subsided pretty quickly after the additional pain meds were administered. I was naturally groggy for the first while, and I actually am not sure how long it took for me to fully come-to. When I did, the staff was right there, helping with mobility, bathroom, water or juice requests, and so forth. Dr. Samson will come in and check you after you wake up, carefully inspecting your progress, and recapping your surgery with you. The staff will keep you in the post op room until Dr. Samson is satisfied with your progress and signs orders for you to go home. The nurses will go over your home care instructions, medicine schedule, etc and make sure you are comfortable to head home. Have a supportive friend or relative take you home in a comfortable car. And make sure you have your meds before hand; you don’t want to be driving thru Walgreens drive thru on your way home. Not fun! Be realistic about your needs post surgery, especially if you have small children or pets that need caring for. I had my Liposuction and Breast Implant exchange surgery on Tuesday morning and I was able to finally care for the kids by Friday afternoon. I encourage you to get the help you need. Rest, get an ice pack or frozen peas, if your surgery requires, (breast augmentation, etc.) and just rest and sleep. Make sure you adhere to post op instructions on resuming activities, working out, lifting children, going back to work, etc. During your pre-op visit, Diane, Dr. Samson’s nurse, will give pre & post op instructions (ie: no eating or drinking after midnight the night before your surgery, etc). Get your medications filled ahead of time, and secure a friend or relative to drive you home from the surgery and ensure you have someone to stay with you for the first 24-48 hours. Make sure you have comfortable clothing to wear home; loose sweatpant outfits that zip up are ideal (no pullovers) , and make sure you leave all jewelry at home. Bring a list of your current meds, your ID cards, and insurance if applicable, etc. One of the most frequent complaints after surgery is constipation. This is normal from anesthesia and pain medications, but it can make you miserable. Get stool softeners, exlax, etc before surgery and be proactive to keep everything operating smoothly. Secure a positive caregiver post surgery. Around 2-3 days post op is when you may be feeling at your lowest. You WILL turn the corner by day 3-4 and those feelings will leave and you will be so glad you did the surgery, but in those first few days you will want someone around who is supportive and encouraging. Set your room up ahead of time. I spent my first several days and nights on the couch in the living room. I slept there, watched Netflix, etc. Figure out where you are going to park yourself for several days, pull a table up to the couch, bed, and put all your meds, juice, snacks, tissues, cell phone chargers, computer, books, whatever you anticipate you will need. Once you get home you don’t want to worry about this, so again, be proactive. Within a week I was feeling really good after surgery and was so glad I finally had taken the time to have my Mommy Makeover with Dr. Samson. I am so happy with my results and hope this surgery diary helps you as you go through your own surgery experience with Dr. Samson. 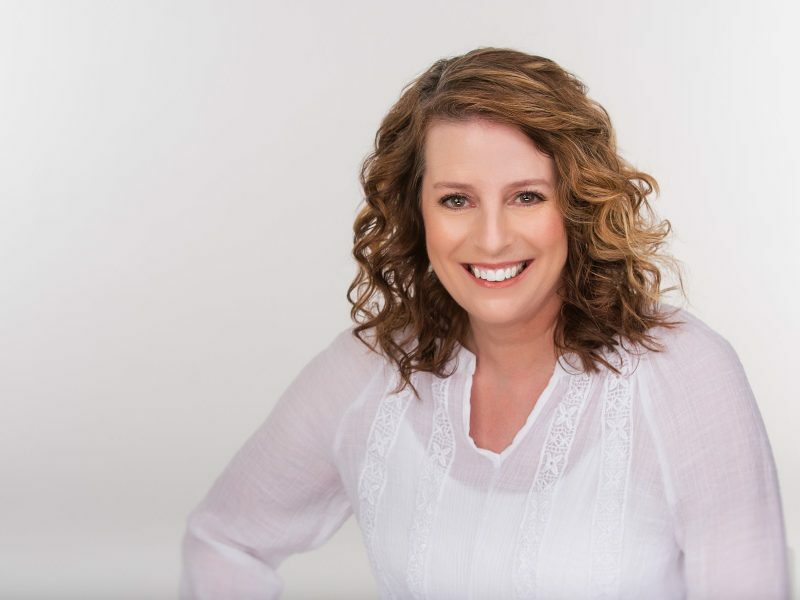 Dr. Samson is highly rated on Google, Facebook, and Real Self; I encourage you to read those reviews, like I did, which will give you information and peace of mind that you are in the best hands with Dr. Samson. Patients from all over the Daytona Beach area come to Dr. Samson, making him one of the areas best surgeons! Dr. Samson works with CareCredit and Prosper Healthcare Lending, two premier companies in the cosmetic surgery financing industry. Our Port orange Plastic Surgery staff members are willing and able to help you get started with your financing application. We review all surgical fees upfront with our Plastic Surgery patients following the consultation with Dr. Samson. You will have a complete picture of the cost of your procedure prior to leaving our office. Does Dr. Samson do Botox & Juvederm Injections? Yes! Dr. Samson is has received Daytona Beach Plastic Surgeon “Expert Injector” Status by Allergan Pharmaceuticals, the makers of Botox and Juvederm! In fact, Dr. Samson has pioneered innovative techniques for the placement of Botox and Juvederm to give patients exceptional and superior results, and has trained dozens of plastic surgeons around the country on the art of injectables in Facial and Cosmetic Plastic Surgery. Botox & Juvederm is becoming increasingly popular in Ormond Beach, Daytona Beach, Port Orange, New Smyrna Beach, and Palm Coast, with Men being the fastest growing segment of the population to receive injectables. Daytona Beach Plastic Surgeon, Dr. Samson will skillfully guide you to the right procedure for you. What procedures does Dr. Samson do the most? 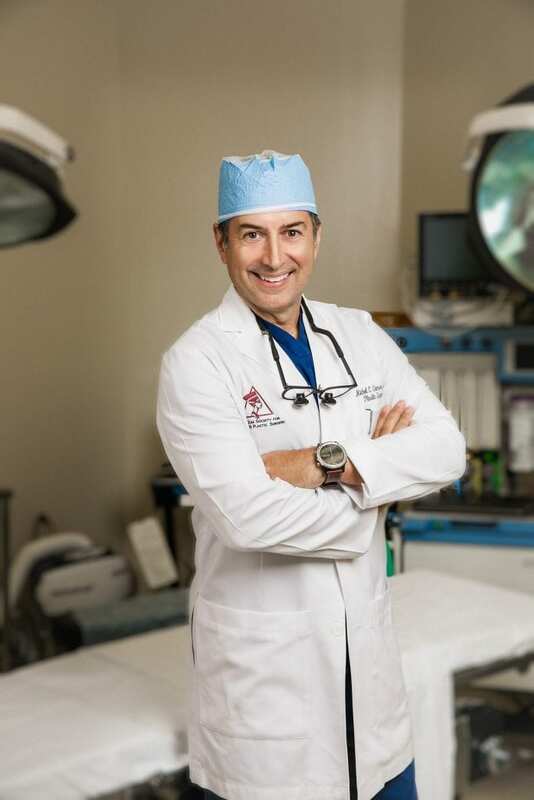 Before beginning Plastic Surgery private practice in 2012 in Port Orange, Florida, Dr. Samson spent 13 years at the world renowned Cleveland Clinic, pioneering innovations in breast surgery that won him national acclaim as one of the nations top Breast Reconstruction surgeons. As Residency Director of the highly competitive Plastic Surgery program at Cleveland Clinic, Dr. Samson was responsible for training and educating some of the nations top up and coming Plastic Surgeon’s, with many of the procedures being Breast Reconstruction. Plastic Surgery patients in the Daytona Beach area who are desiring any type of surgery of the Breast such as Breast Augmentation, Breast Implant Exchange, Breast Reduction Surgery and Gynecomastia surgery for men, will find themselves in gifted and capable hands with Dr. Samson. Dr. Samson, a Board Certified Daytona Beach Plastic Surgeon, has been performing Facelifts for 18 years. For patients in the Daytona Beach and Ormond Beach area, a facelift is the most comprehensive approach to treating facial wrinkles and sagging caused by aging. A facelift removes excess skin, tightens underlying tissues and muscle and redrapes skin on the face and neck. It can correct midface sagging, marionette lines, jowls and a double chin, maintaining its reputation as the ‘gold standard’ for facial rejuvenation. Dr. Samson routinely performs facelift surgeries not only on patients in the Daytona Beach, Ormond Beach, Volusia County area, but worldwide patients come to Dr. Samson’s office in Port Orange for their facelift, eyelid and brow lift surgeries. 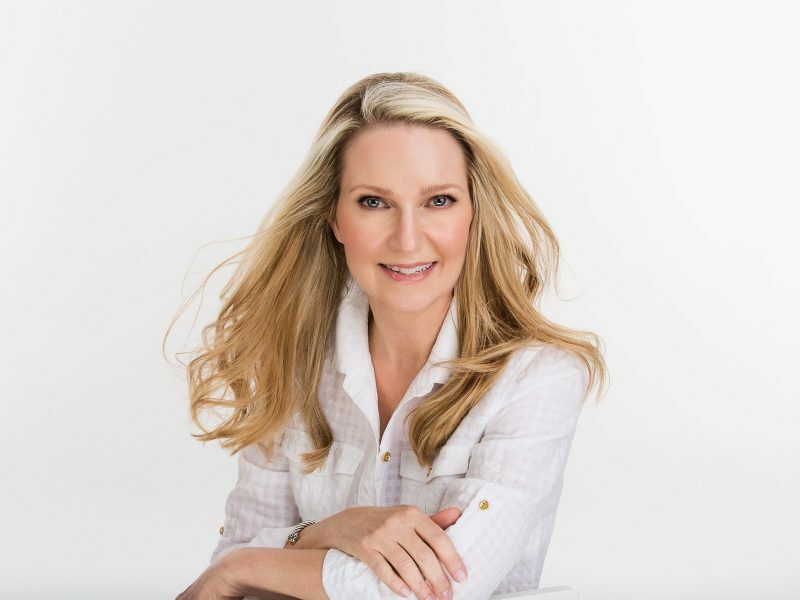 Dr. Samson is highly skilled and gifted with dermal fillers and injectables, earning “Expert Injector” status from the makers of Botox & Juvederm. Whether from pregnancy, aging, weight fluctuation, or heredity, many men and women are unhappy and feel self consious with excess skin and fat on their abdomen, thighs and buttock area. A Tummy Tuck, or “abdominoplasty,” Liposuction or a Mommy Makeover surgery with Dr. Samson can resolve these issues to create a more contoured, youthful shape for patients in the Port Orange, Ormond Beach, Daytona Beach and New Smyrna area. This easy treatment brightens up eye area, smoothing away lines leaving you with happy eyes. Model worthy Cheekbones can be yours with this convenient, fast treatment. Results last up to 18 months. One of the most popular injections available today, lip enhancement is a great way to achieve the perfect pout. Laughing is great, lines are not! Your makeup creases in them making you look older than you are. Smooth away annoying lines quickly and conveniently. Dark Circles & Eye Bags got you down? Don't fret. Tear Trough Injections are effective in brightening up the under eye area, giving you a rested, happy look. Liquid Facelift at your Service. Erase lines & wrinkles, plump nasolabial folds, and get a defined plump pout, all on your lunch break!